Analysis: The two sides agreed to terms of a contract shortly after a report that the Bengals and Chiefs, among other teams, were inquiring about Dennard's services. With an increased snap count the last two seasons, he averaged 5.3 tackles per game while accumulating two interceptions (one pick-six), two sacks, two forced fumbles and one fumble recovery in 29 appearances. Expect Dennard to return to his role manning slot corner in Cincinnati. Analysis: Not coincidentally, Dennard's most productive seasons have come with an increased snap count. 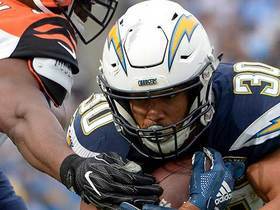 Receiving 78.5 of those on defense in 2017 and 59.8 percent last year with the Bengals, he notched 153 tackles, two interceptions (one pick-six), two sacks, two forced fumbles and one fumble recovery across 29 games. Wherever he lands, Dennard is a good bet to start considering the teams interested in his services. Analysis: Dennard tied his career high in passes defensed, though he didn't secure any interceptions this season. While not one of the league's dominant corners, the 2014 first-round pick is a decent starter and likely will see a similar role with Cincinnati once again in 2019. Analysis: Dennard was limited in practice Thursday with the calf injury, but he was able to participate fully in practice Friday. 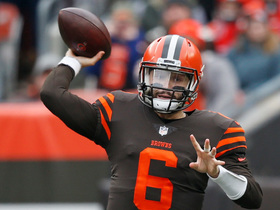 The 2014 first-round pick will most likely be available for the Bengals' Week 12 game against the Browns on Sunday. Analysis: Dennard was downgraded to a limited practice Thursday after having fully participated to being the week. The 27-year-old has fully recovered from sternoclavicular injury suffered Week 6, but he now appears to be managing a minor calf injury. It remains to be seen whether Dennard's calf troubles will impact his availability for Sunday's tilt against the Browns. Analysis: Dennard returned to practice this week for the first time since suffering the sternoclavicular injury Week 6 against the Steelers. The 27-year-old could be in line for a heavy workload with Dre Kirkpatrick in the concussion protocol and questionable for Sunday; otherwise Dennard will resume his usual duties at nickelback. Dennard (collarbone) saw limited action in Wednesday's practice, his first such action since getting hurt against the Steelers, Richard Skinner of Local12.com reports. Analysis: Dennard is the Bengals' primary slot corner and has been badly missed since his injury. The Bengals haven't yet suggested that Dennard will play just yet, so we'll have to track the practice reports to get a better feel later in the week. Dennard (collarbone) was ruled out for Sunday's game against New Orleans, Paul Dehner Jr. of The Cincinnati Enquirer reports. 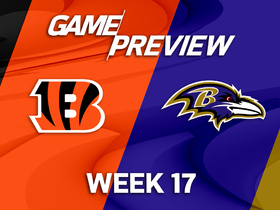 Analysis: Dennard will miss his third straight game since suffering the sternoclavicular injury Week 6 against the Steelers, as the Bengals' bye last week apparently didn't provide enough recovery time. Darius Phillips and KeiVarae Russell should work as the nickel and dime cornerbacks for the Bengals in his absence. Dennard (collarbone) didn't practice Wednesday, Marisa Contipelli of the Bengals' official site reports. Analysis: Dennard continues to nurse a sternoclavicular injury suffered during an Oct. 14 loss to the Steelers and appears at risk of missing Sunday's game against the Saints. 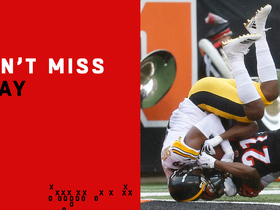 The rotational cornerback will play a key role in Cincinnati's defense when healthy. Dennard (collarbone) is ruled out for Sunday's game against the Buccaneers, Katherine Terrell of ESPN.com reports. Analysis: Dennard was never expected to suit up in Week 8, and he'll instead focus his attention on progressing in his recovery during Cincinnati's bye week. The veteran cornerback has not participated in practice since suffering a sternoclavicular injury in an Oct. 14 loss to the Steelers, and he should be considered week-to-week. Tony McRae and Darius Phillips will benefit from increased snaps as long as Dennard remains sidelined. 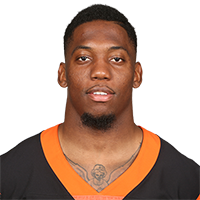 Dennard (shoulder) is expected to return shortly following Cincinnati's bye week in Week 9, Paul Dehner Jr. of The Cincinnati Enquirer reports. Analysis: Dennard suffered a sternoclavicular injury during the Bengals' loss to the Steelers in Week 6, but is not expected to remain sidelined for an extended amount of time. The backup cornerback could return to the field as soon as Cincinnati's game against the Ravens in Week 11. Dennard (shoulder) was ruled out for Sunday's game against the Chiefs, Jay Morrison of The Athletic reports. Analysis: Dennard sustained the shoulder injury in last Sunday's loss to the Steelers and was unable to practice this week. 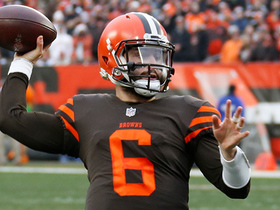 The specifics of the injury remain unclear, and Tony McRae should serve as the Browns' nickel cornerback against the Chiefs' high-powered offense. Dennard sustained a shoulder injury in Sunday's game against the Steelers and is questionable to return, Jay Morrison of The Athletic reports. Analysis: Dennard suffered the injury defending a pass downfield to JuJu Smith-Schuster, and appeared to land on the right shoulder. Tony McRae should serve as the Browns' nickel cornerback if Dennard is unable to return. Dennard recorded eight tackles (six solo) across 66 defensive snaps in Thursday's win over the Ravens. Analysis: Dennard has solidified himself as the nickel back in the Bengals secondary, logging similar amount of reps to Dre Kirkpatrick and William Jackson. His eight tackles were tied for second-highest on the team Thursday. He'll look to put up similar numbers this coming Sunday against the Panthers. Dennard racked up 85 tackles, two sacks, six pass breakups, two interceptions and one touchdown over 16 games in 2017. Analysis: Dennard has mostly underperformed since the Bengals selected him in the first round of the 2014 draft. 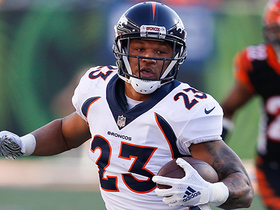 However, it looked like he finally turned the corner of his professional career in 2017, ultimately earning Pro Football Focus' 23rd-highest grade among cornerbacks (out of 120 qualifiers). Furthermore, his 85 tackles were tied for 13th among all defensive backs, placing him right on the IDP radar ahead of the 2018 season. 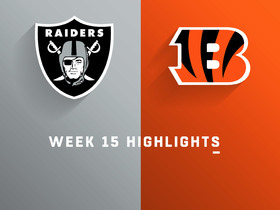 Dennard had a pick-six in the Bengals' Week 17 win over the Ravens. Analysis: Dennard finished the season with 85 tackles, two sacks and two interceptions, with that one touchdown from Week 17. The Bengals relied on the 2014 first-round pick out of Michigan State a lot more than they had in his previous three seasons, as he played more snaps on defense (901) than in his previous three years combined. Dennard (knee) won't carry an injury designation into Sunday's game against the Vikings. Analysis: Dennard did not practice Wednesday but was able to finish the week as a full participant. The 26-year-old should see an increased role against the Vikings with Dre Kirkpatrick already ruled out with a concussion. Dennard (knee) is listed as active Sunday against the Packers. Analysis: Dennard missed practice the first two days of the week, but returned Friday and was given a "questionable" designation leading up to the Week 14 matchup. He's now set to take the field, continuing his streak of playing in every game this season. Dennard (knee) is listed as questionable for Sunday's game against the Bears, Katherine Terrell of ESPN.com reports. Analysis: Dennard has played all 12 games this season, accruing 67 tackles, two sacks, five pass breakups and one interception. If Dennard can't play, it will seriously cripple a secondary that will already be without starters Adam Jones (groin) and Dre Kirkpatrick (concussion). Dennard suffered a right knee injury during Monday night's game against the Steelers and is considered questionable to return. Analysis: Dennard's injury follows that of Adam Jones (groin), who has already been ruled out of the remainder of Monday's contest. If Dennard is also unable to return, a thin Bengals secondary would be left even thinner for the second half. Dennard (knee) is active for Sunday's matchup against the Browns. Analysis: Dennard logged a season-high 81 defensive snaps during Week 11's matchup in Denver, as starting corner Adam Jones was inactive due to a concussion. Though Dennard surfaced with an injury of his own this week, a limited practice session Friday was enough to convince the team he'd be able to suit up. With Jones back on the active roster, however, look for Dennard's role to be reduced. Dennard (knee) is listed as questionable ahead of Sunday's game against the Browns, Richard Skinner of WKRC-TV reports. Analysis: Dennard was absent from Wednesday's practice, but there appears to still be a chance he could play Sunday. The exact nature of the cornerback's injury is currently unknown, however, so look for Dennard to be a true game-time decision unless the Bengals can update his status before then. Dennard (knee) was a non-participant in Wednesday's practice. Analysis: The nature of Dennard's knee injury is unclear, but it's too early in the week to believe his availability for Sunday's game against the Browns is in danger. His participation in practice Thursday and Friday will be more indicative on that front. Dennard had four solo tackles, one pass breakup and one interception against the Titans on Sunday. 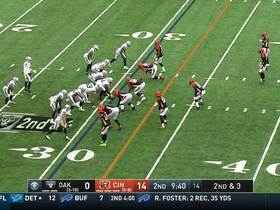 Analysis: Through four seasons, this is just Dennard's second interception. However, he has also compiled 50 tackles (37 solo) and two sacks this season as the Bengals' No. 3 cornerback. 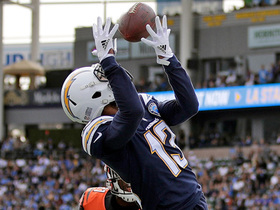 Los Angeles Chargers wide receiver Keenan Allen extends for an impressive 37-yard fingertip grab on a pass from his quarterback Philip Rivers. 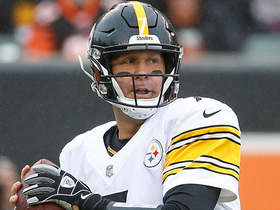 Pittsburgh Steelers quarterback Ben Roethlisberger goes deep to wide receiver JuJu Smith-Schuster for a 29-yard completion. Pittsburgh Steelers quarterback Ben Roethlisberger catches his own pass after multiple deflections.